An abdominal Support belt is a kind of binding used to drape around an individual’s abdomen in order to extend support. 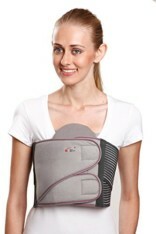 Abdominal belt and supports are beneficial for holding abdominal portion after a surgery or delivery of a child. It also brings the waist line in shape and does not strain even after long duration of wearing. These are made from high quality fabric does not slip and gives comfortable firmness to the abdominal muscles. Abdominal support is commonly used by fitness freaks during their work out routines in order to attain a trimmer abdomen. Patients who undergo abdominal surgeries and women who had c-section operations also make use of abdominal belts for support. These belts give confident and support in moving around and in doing simple activities without any help, as a result promoting a faster recovery. Who can benefit from Abdominal Belt? 1. Patients after an abdominal surgery are frequently advised to use this type of abdominal belt for abdominal support. 2. Females after C-section surgery are suggested to wear abdominal belt for faster recovery. 3. These belts are also commonly used by health aficionados who love to keep healthy and trim. They generally wear the abdominal belt whenever they execute their workout sessions. Place the Belt between the ribs and pelvis and stand with your feet keeping hips distance apart. Separate your pelvis and keep your ribs over your pelvis. Breathe out and draw your navel to your spine. Now pull both the sides of the belt in the middle and tie the Velcro. Neither it should be snug not it should be tight as this is the most common issue is placing the splint too tight. This will reduce circulation to the area and blight healing and will place too much pressure on the Velcro causing the belt to fail quickly. It is recommended to wear the abdominal belt all day and in some cases at night during the initial segment of the treatment. You should always focus on drawing your navel in away from the belt not resting into the belt. These belts are always meant to be temporary to help place the muscles in the proper position for rehabilitation. The best abdominal belt is the one that you will wear constantly. You must to be able do the healing program for the abdominal s while wearing the belt to have the best paybacks. All belts are suggested to be worn over an undershirt or belly band to limit skin annoyance and decrease the need to wash the belt. 1. 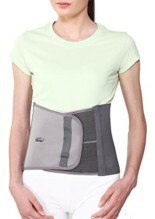 LP Magnetic Waist Belt 715:- LP waist belt is crafted for recovery after a back surgery and relief of back pain. There are 50 magnets sewn in front and rear which improve blood circulation and supplies therapeutic warmth. 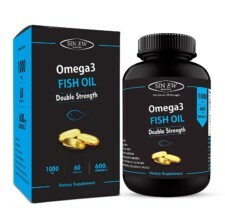 It is also designed to support a flabby abdomen and its use may also be recommended post-operative by a doctor. 2. Tynor Abdominal Support 9” A 01:- Tynor Abdominal Belt is a compression belt to hold the abdomen and compact the abdominal muscles. 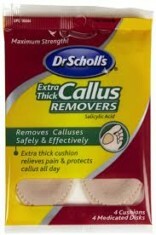 This is mainly used as a post operative aid by moms after delivery and also for waist line diminution. 3. Flamingo Maternity Belt:- This Maternity Belt is crafted for firm support to keep the body in the right posture and mild heat maintenance. It helps to boost blood circulation in legs, back and abdomen to reduce pain. You can easily drape it around waist and stay relaxed as it is made of lightweight and durable materials that won’t cause discomfort. 4. Health Viva Abdominal Belt (Cotton):- Health Viva Abdominal belt provides premium orthotic support to the abdominal portion post surgery or birth of a baby. This additionally brings the waist-line in proper shape and does not strain even after extended hours of wearing. The high quality material does not slip and gives comfortable compression to the abdominal muscles. Proper support of the back and abdomen is the key to physical health and wellness. Not only do abdominal support belts help to relieve low back pain by reducing stress and adding stability to the pelvic muscles, they can also help recovery from C-section by supporting the area around the incision during the immediate six to eight weeks of idleness. Fitness freak people looking for a six-pack abs also use abdominal whenever they perform their intense workout sessions.